Accra, Jan. 26, GNA - Ghana and Alcoa, the world's leading producer and manager of primary aluminium, fabricated aluminium and alumina facilities, on Wednesday signed a Memorandum of Understanding (MOU) to develop an integrated aluminium industry in Ghana. The industry would include bauxite mining, alumina refining, aluminium production and upgrading of rail transportation infrastructure. President John Agyekum Kufuor witnessed the ceremony at the Castle, Osu, when Papa Owusu Ankomah, Acting Attorney - General and Minister of Justice signed for Ghana while Mr Bernt Reitan, Executive Vice President of Alcoa and President of Alcoa Primary Aluminium Division signed for the Company. 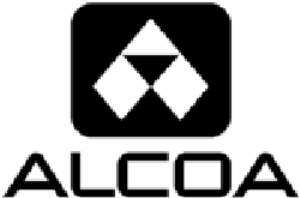 Alcoa is also active in all major aspects of the industry. With the signing of the MOU, Alcoa would work with the Government to conduct expedited feasibility studies to be completed in 2006. By that time both parties would negotiate definitive agreements on the mining, refining, smelting, upgrading and ownership of rail infrastructure as well as total investment costs. The MOU calls for the initial re-start of three of the five existing pot-lines to produce 120,000 metric tons of aluminium per year (mtpy) at the jointly owned 200,000 - mtpy Volta Aluminium Company (VALCO) smelter at Tema. The VALCO smelter, which is currently idle, would be re-started as soon as practicable under an interim power rate agreement with the Volta River Authority (VRA) is reached. Alumina would be supplied from Alcoa World Alumina and Chemicals (AWAC), Alcoa's Global Enterprise and Alumina Limited of Australia. Parliament on Thursday October 28, 2004, approved an agreement between Ghana and Kaiser Aluminium and Chemical Corporation for the sale and purchase of the VALCO for 18 million dollars. The Government currently owns 90 per cent of the smelter with Alcoa owning the remaining 10 per cent. The final integrated industry agreement would make Alcoa the majority owner and operator of the total joint enterprise (mining, refining and smelting projects) with significant participation by the Government. Alcoa's participation in the bauxite and alumina operations in Ghana would be through AWAC. The feasibility review would include a study on the creation of an alumina refinery with an initial design capacity of up to 1.5 million mtpy. It is expected that the refinery operations would utilise the natural gas at competitive industrial rates from the West African Gas Pipeline (WAGP) Project. The Government would provide the joint enterprise with exclusive rights to the bauxite resources at Kibi and Nyinahin. The feasibility study would also ensure that there is an adequate supply of bauxite resources for the proposed refinery. In addition, the study would analyse the upgrading of rail transportation and other necessary infrastructure improvements. The joint enterprise would be developed consistent with Alcoa's sustainability principles.